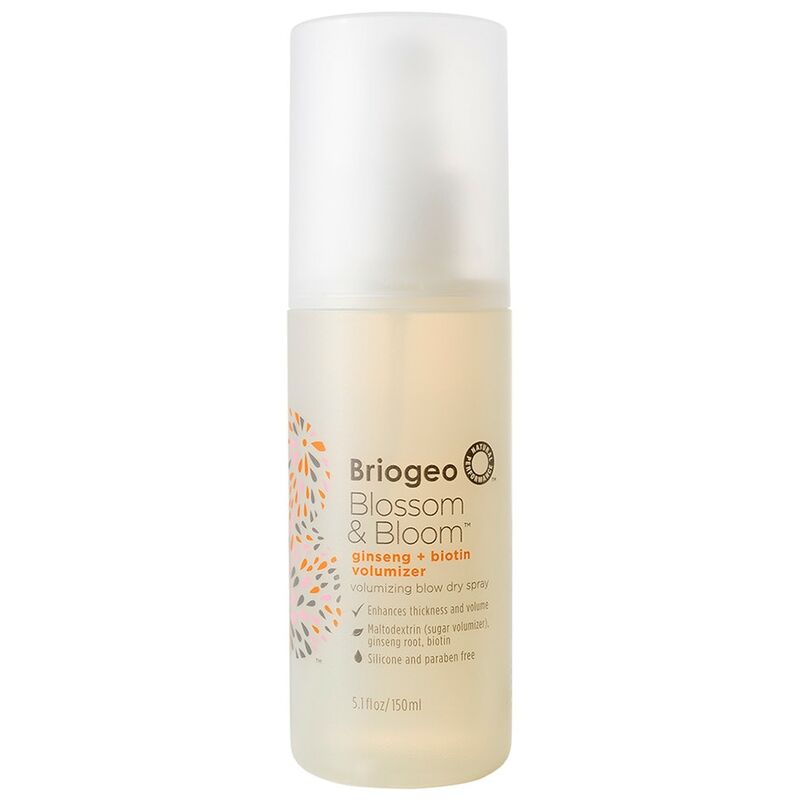 Transform lack-lustre locks with the Blossom & Bloom™ Ginseng + Biotin Volumizing Blow Dry Spray from Briogeo. Suitable for thin, fine and lifeless hair, its lightweight formula adds body and energises locks for a fuller appearance. Ginseng and ginger root stimulate blood flow to the scalp and hair follicles to encourage hair growth, whilst biotin provides essential vitamins to leave hair healthy-looking. Developed with maltodextrin, a natural sugar starch that coats the hair to increase the diameter of each strand, giving a thicker texture and improving density and flexibility of hair. Lemon and witch hazel extract break down oils to extend time between washing so you can experience silky soft, luscious locks. E.N. Free from parabens, silicones and sulphates. Suitable for vegans and cruelty-free.